Surfer Joe #083. 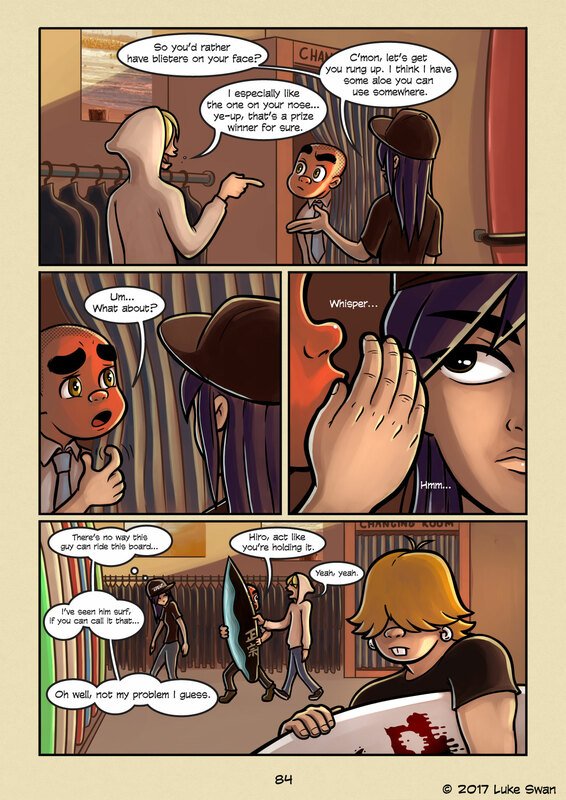 A Webcomic on the Art of Surfing. Hiro likes to give Joe guff for his sunburn, but right now they have bigger fish to fry. How do they get Joe rung up and out without Tyler noticing?